Thomas Johansson, a Grand Slam champion now coaching Belgian David Goffin, has been attending the Miami Open since 1999. He gives Tennismash his thoughts on the tournament’s brand new home. 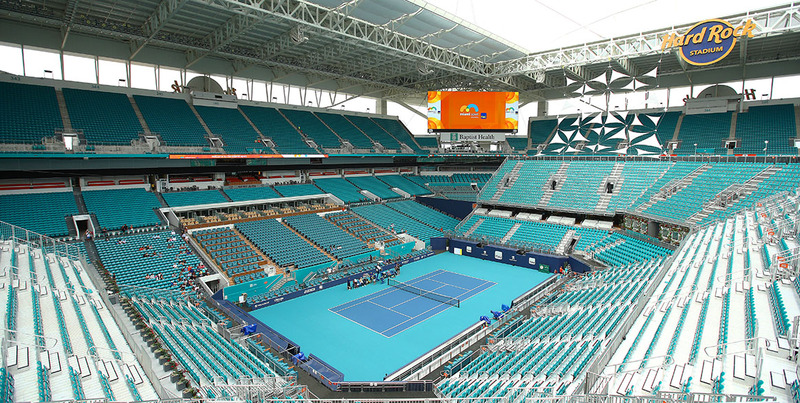 This year, the Miami Open moved into its new home at Hard Rock Stadium in Miami Gardens after a 32-year stint at Key Biscayne’s Crandon Park Tennis Center. There has been plenty of interest about how the tournament will fit into its new home, a site originally designed for football but configured to incorporate a temporary stadium court as well as more permanent tournament and practice courts in the surrounding grounds. Thomas Johansson, a former world No.7 and Australian Open champion in 2002, played at the Miami Open nine times, with his best result a quarterfinal run in 2005. He continues to attend the event as a coach, and is currently working with Belgian 18th seed David Goffin, who advanced to the last 16 on Monday. Johansson spoke to Tennismash about his observations of the event and its new home, roughly 30 kilometres north of the previous site. TENNISMASH: What were your first impressions of the new tournament site? THOMAS JOHANSSON: “Both me and David (Goffin), we were a little bit worried about the time it would take from the hotel to the site, but so far it’s been very, very good – it’s been probably I would say 30 minutes. You just have to be a little bit careful with the traffic in the afternoon. Because let’s say you have an evening match, you have to stay there, you can’t go back and forth, that would be a little bit risky. Is it better than Key Biscayne? “If you ask me, I would say yes. I think they are better (facilities). More room for the players to move around. The gym is big; you have a little bit of a grass pitch as well, so you can play a bit of football, or you can do warm-ups, or you can do fitness training if you want. It’s just that the stadium is massive – so it takes a little bit of time for you to know where to go (laughter). It takes a while to navigate. But I am positive (about it). 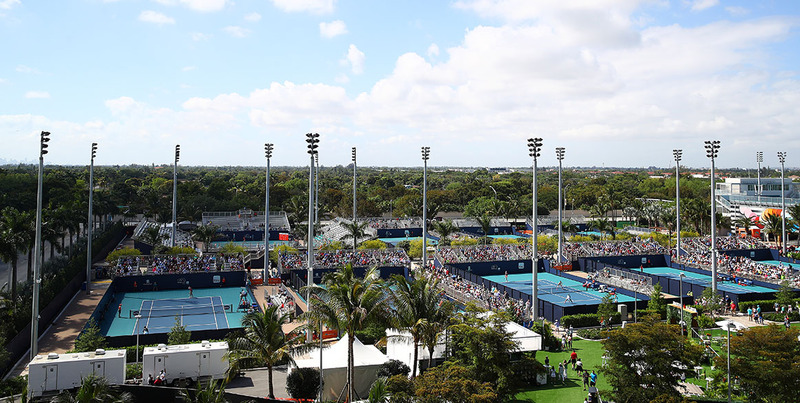 Were you, and the other players and coaches, sad to see the Miami Open leave Key Biscayne? “I think yes and no. I think that the previous venue had its own atmosphere and feeling to everything. And I liked it. But I felt that it was a little bit too small. It was a little bit unlucky that they didn’t get that chance to expand. And also the drive from your hotel out to Key Biscayne – it felt a little bit like Miami Vice when you went. Maybe it had a little bit more feeling to it than the new venue. Does the new venue feel accessible, central, and easy to get to? Laver Cup SmashTalk: Team World or Team Europe?